With the development of international Wushu sports, Wushu, or Chinese Martial Arts, is getting to be known and approved by more and more people. Due to the success of our bid for the Olympic Games 2008, Wushu routines are likely to be selected as competition events. 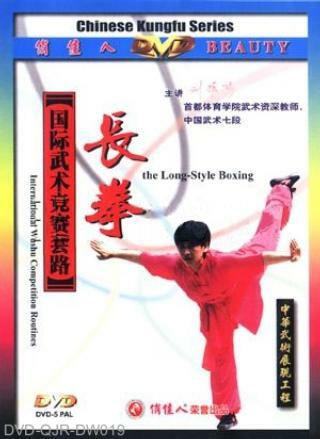 Therefore entrusted by the International Wushu Federation, the Chinese Wushu Association organized some of its Wushu masters and professionals to compile this new competition routine, Chang Quan (the Long Boxing).